Images: Billy Black / Chris Grooby - Good to see the final product of the new GB factory in the US after they opened it in 2012. Pics from 'Rainmaker' at NY sent by Lauren Battaile: The 55 pictured is the first of the series to launch, and the first US built GUNBOAT. ‘RAINMAKER’ was delivered early June, and is based in Manhattan for the summer. Subsequent hulls are following closely behind, with Hull 02’s launch anticipated in August. Rainmaker will be headed to Newport to catch the end of race week July 18-20. 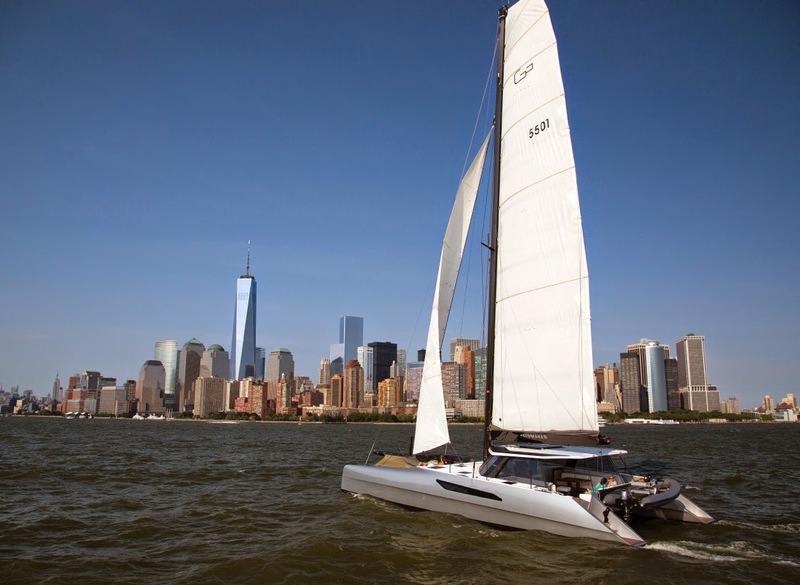 The slick cat is expected to turn heads, and may very well become a fixture at NYYC events.